7digital.com is a digital music provider which sells music in MP3s across 42 countries, including the UK, Europe, the US and Canada. With over 40 million tracks in store, you’re sure to find what you’re looking for. 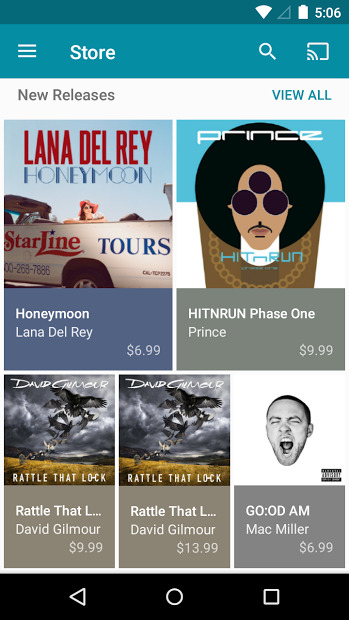 Purchase a song from the app and you can stream or download it instantly. You have 30 second previews of all songs, so you can actually listen to them before to buy it. You can stream the bought content to your TV with Chromecast.